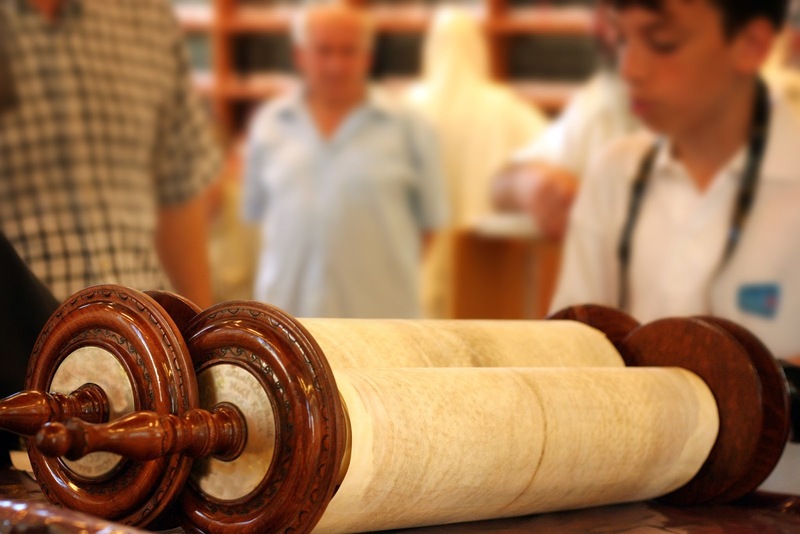 For Jews, there is nothing more sacred than the Torah scroll. It contains yards of parchment stitched together and bound to two wooden dowels. Upon the parchment, a scribe calligraphies the words of the Bible’s first five books: Genesis, Exodus, Leviticus, Numbers and Deuteronomy. Using a feather pen, most scribes take approximately one year to complete a Torah scroll. Some scribes are better artists than others and their highly stylized letters are beautiful works of art. Few see their work up close. Their artistry is only evident when the holy scroll is unfurled. In reality it is an art intended to be read, or, to be more exact, chanted. It is meant to be studied. And yet, for a brief moment following the Torah reading at services, the scroll is lifted so that all might see its columns of verses. People can glimpse the few letters upon which the scribe adorns decorative crowns. And then the scroll is covered and dressed. It is returned to the Ark. The artwork remains hidden. The artist’s name remains a mystery.